roquois Springs is a summer camp in Rock Hill, NY. 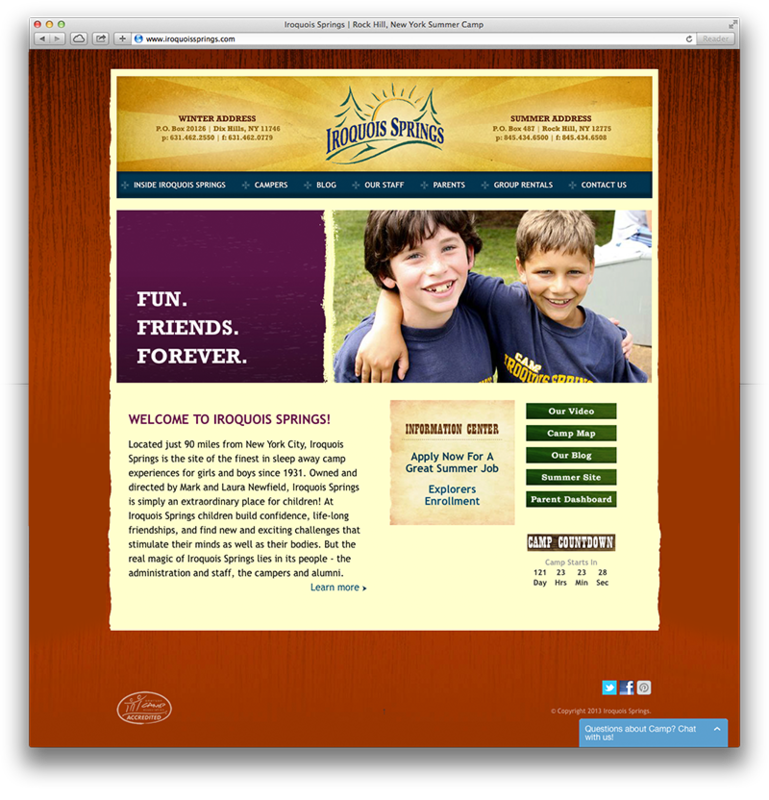 IroquoisSprings.com was converted from HTML to a Wordpress Responsive website. Improvements included new sideshow, drop down menu and galleries.